I know, I know – another STRIPES project. What can I say, when you find what you love – you tend to make a lot of it. And stripes are a part of my classic, go-to look. They always look clean, polished, and (so long as the stripes line up) expensive. I can wear my stripes with just about anything and feel like I have got my stuff TOGETHER – lol. But seriously, my eyes are just naturally drawn to this classic Ralph Lauren-esque look. Call it a byproduct of my Tommy Hilfiger youth. 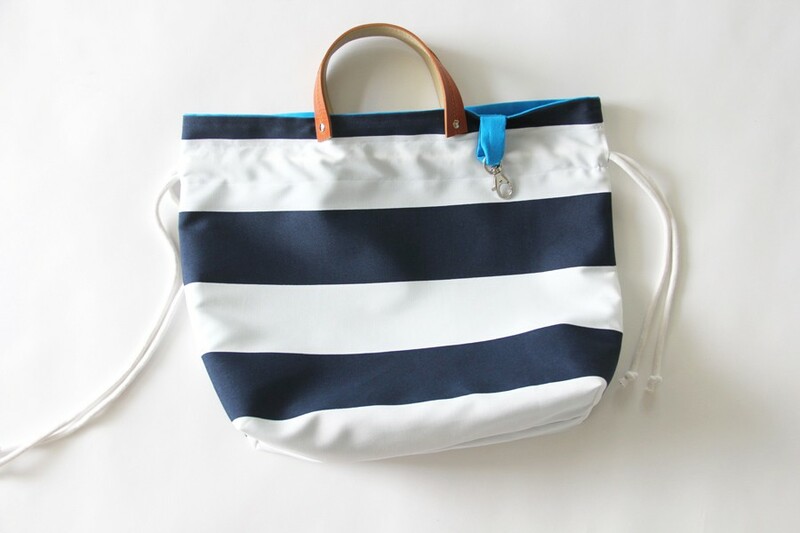 So when it was time to finally replace my cheap grey and sequin tote purse, I opted for a classic navy & white stripe. 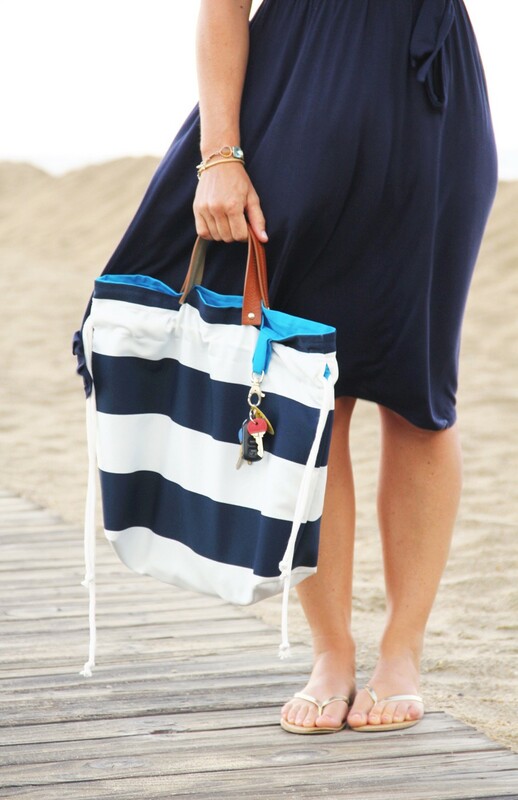 I am so in love with this tote, it is not even funny. I refused to place it on the ground all night for fear of getting it dirty on my first night using it – ha! 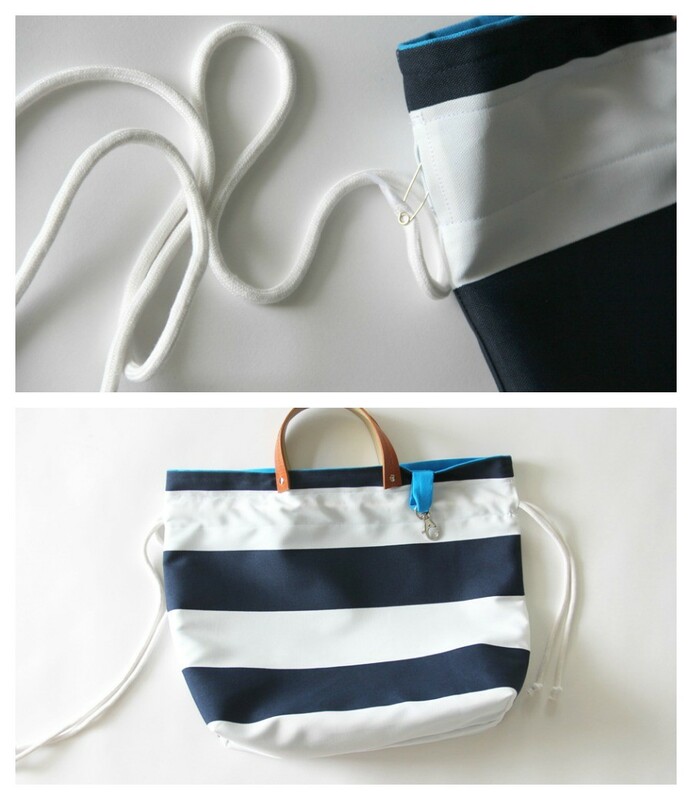 An easy purse DIY, how to sew a cinch top bag. Place (2) Exterior main bag pieces right sides together. Pin around the side and bottom edges. Measure 2” down on the side seam from the top edge on either side of the purse, and leave a 1” opening on either side. Sew around, leaving the 1” open on either side. Press seam open, and sew a rectangle around the 1” opening on either side to secure seam in place. 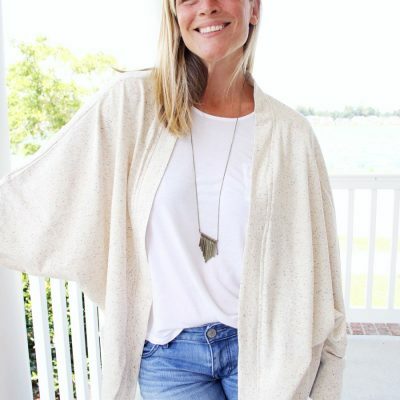 With the fabric still right sides together, pull apart the bottom corner and line up the side seam and the bottom seam so that the seam lines are aligned in the center. This will create a corner point along the bottom of the bag. Use a ruler, and measure 5” from one side to the other and pin. Sew a straight line across, and cut off excess seam allowance. This will create a nice box corner for the bottom of the bag. Repeat for other side. Place (2) Lining main bag pieces right sides together, pin and sew around the sides and bottom. Repeat steps 3 & 4 to create box corners on the bottom of the lining. Fold swivel hook loop right sides together, matching up the 5” side edges. Pin and sew. Turn right side out and press. 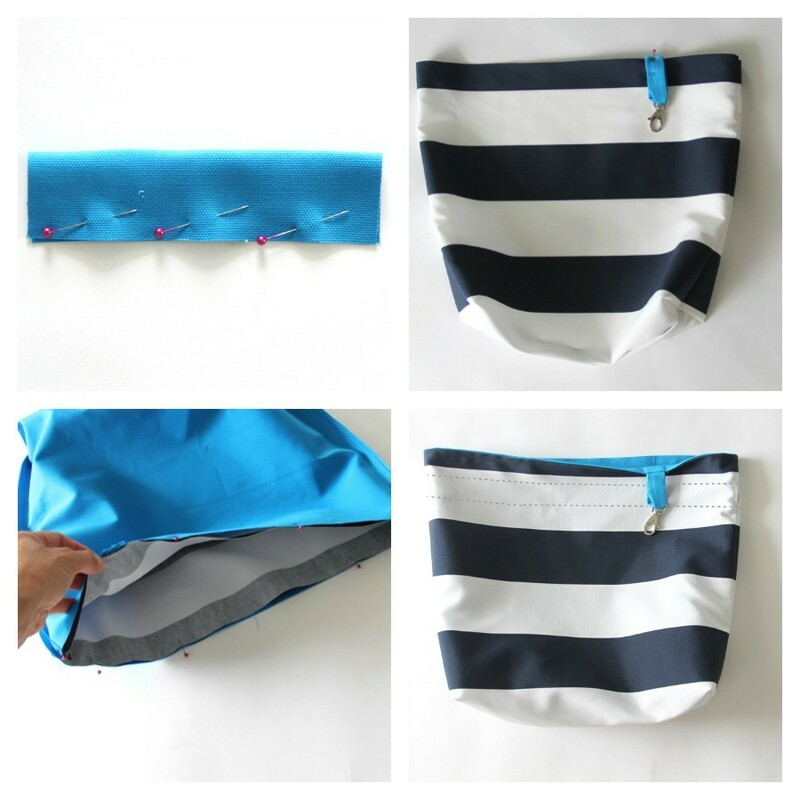 Slip swivel hook onto the fabric loop, and fold loop in half, matching up the raw outer edges. Measure 4” in from the side seam along the top purse edge, and pin swivel hook loops raw edges in place. 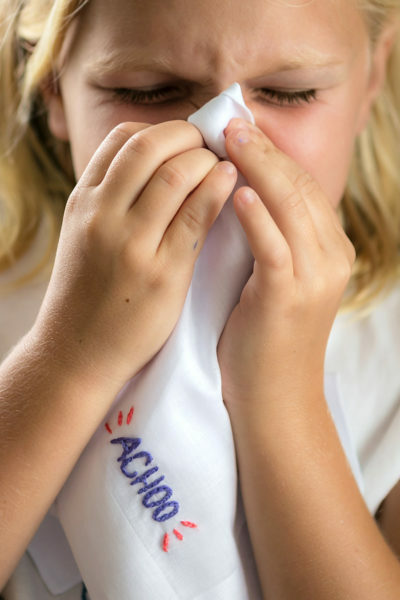 Sew a basting stitch using a ⅛” seam allowance to secure in place. 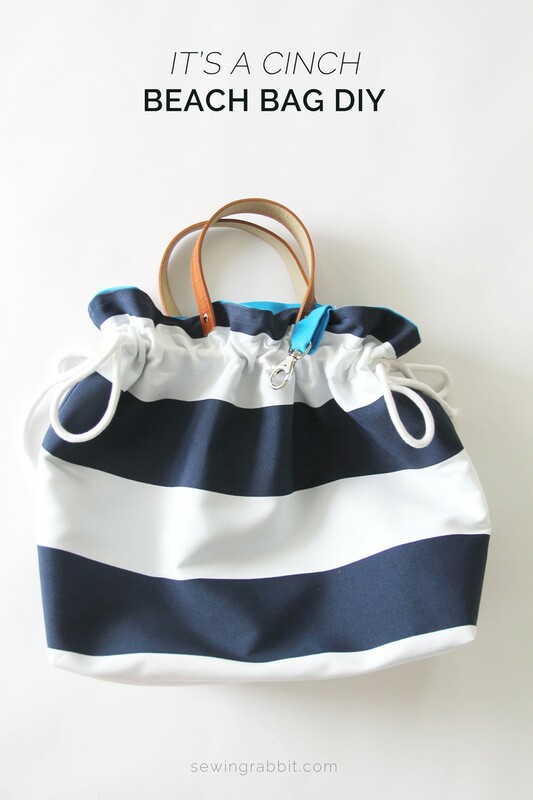 Slip lining bag inside exterior bag, right sides together, matching up the side seams. Pin around the upper edge, leaving a 5” opening for turning. Sew around. Turn purse right side out through opening and press. Sew around the entire upper edge to close opening. 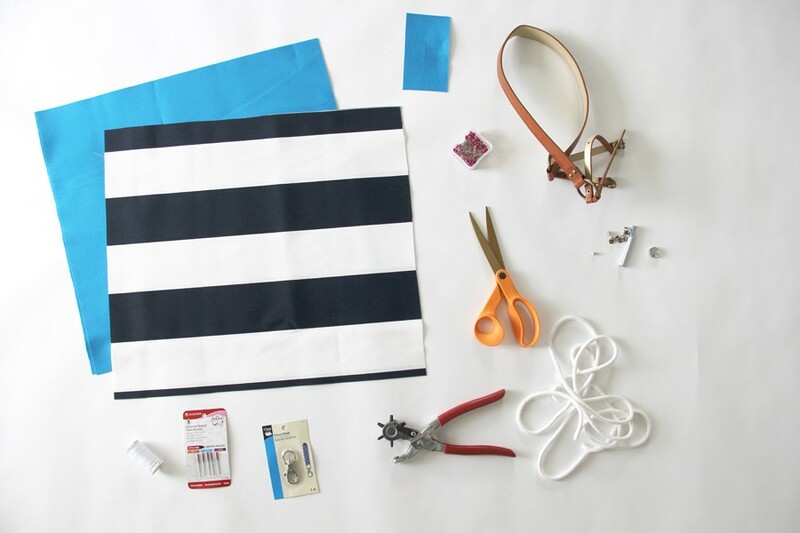 Using a ruler and fabric marker, draw a straight line around the entire bag starting at the top of your seam buttonhole opening along the seam. 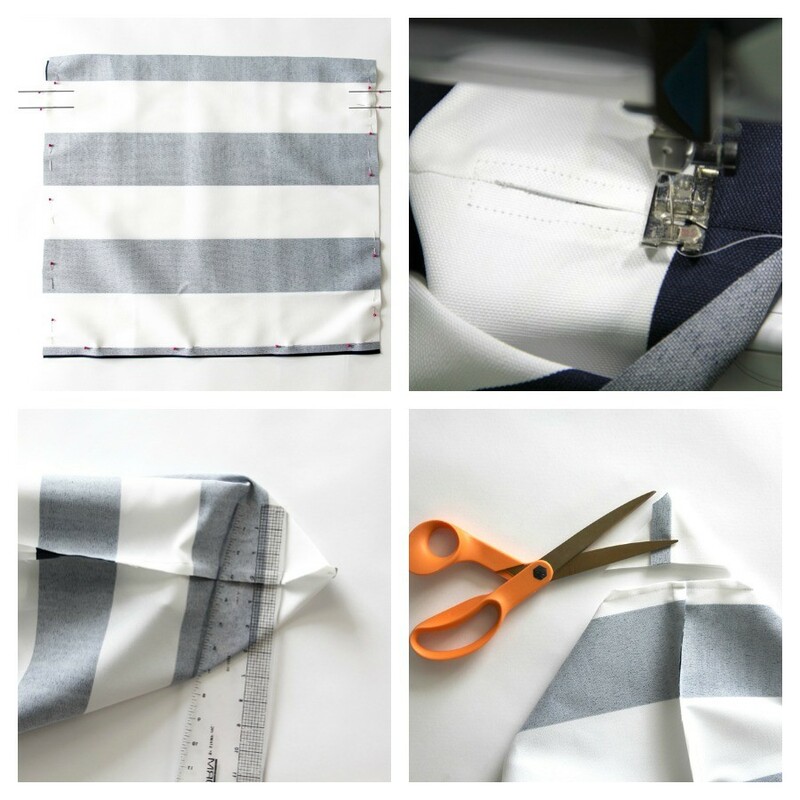 Repeat by drawing another line around the entire bag, directly under your buttonhole side seam opening. Use these lines as your guides to sew a straight line all around, both above and below the side seam buttonhole opening. This will create a casing for your cinch rope. Using your heavy duty scissors, cut (2) 12”-14” strips of leather from your upcycled leather belt. Mark the center of your purse top, and measure 3” on either side of the center mark. Make a small ‘X’ on your fabric at these points, using the fabric marker. Make sure to make these markings ABOVE the sewn casing lines. Use the hole punch to make a small hole in both sides of the leather straps, ¾” away from the edge. 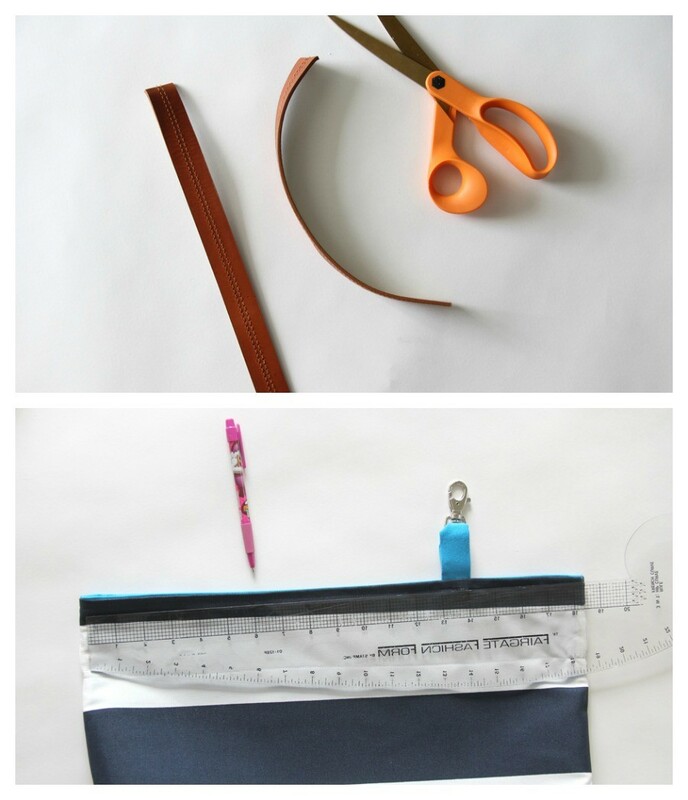 Use the hole punch to also make small holes in the purse fabric, where you made your ‘X’ marks. 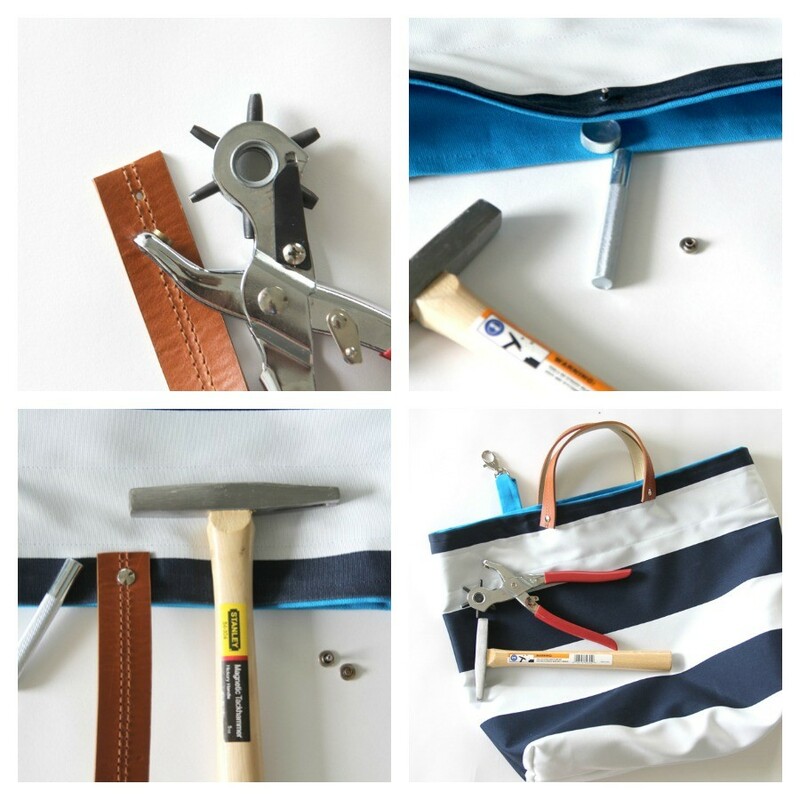 Following the instructions on the rivet setter, attach leather handles to bag as instructed. 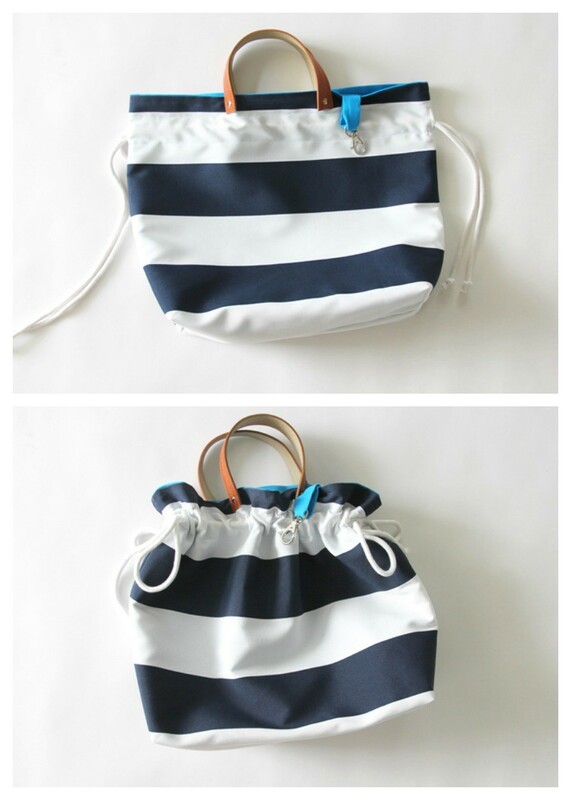 Repeat for both sides of bag, making sure to line up the handles. Cut rope in half, giving you (2) 1 ½ yards of rope each. Attach a safety pin to one side of the rope, and slip through the casing on one side. Guide rope through, until you reach the opposite buttonhole. Tie a knot in each side of the rope to secure. Repeat for other rope on other side of the bag.